Today’s recreational vehicles and motorhomes are complete with all the key survival amenities found in a home. With a kitchen to prepare your meals, one or more sleeping facilities and a bathroom, you’ll be moving around inside an exact replica of your home. Even more importantly, modern campervans or motorhomes’ dining, sleeping and bathroom facilities tend to be very cozy so you and your family can enjoy not just the comfort of home, but some level of luxury as well. The convenience of preparing your own meals in your own kitchen on your vacation is unrivaled. There’s no fun taking seven people to a restaurant three times every day throughout your vacation. For a larger family, mealtimes can be cumbersome if you opt for a hotel. But a motorhome turns things around. Since you’re literally moving around with a mobile home, you can make scheduled stops and allow your kids to rest and freshen up. Long, protracted journeys tend to make children fidgety and irritable, whether on air or road. This is because of these journeys they have to stay in the same position for extended periods of time which can get really uncomfortable. 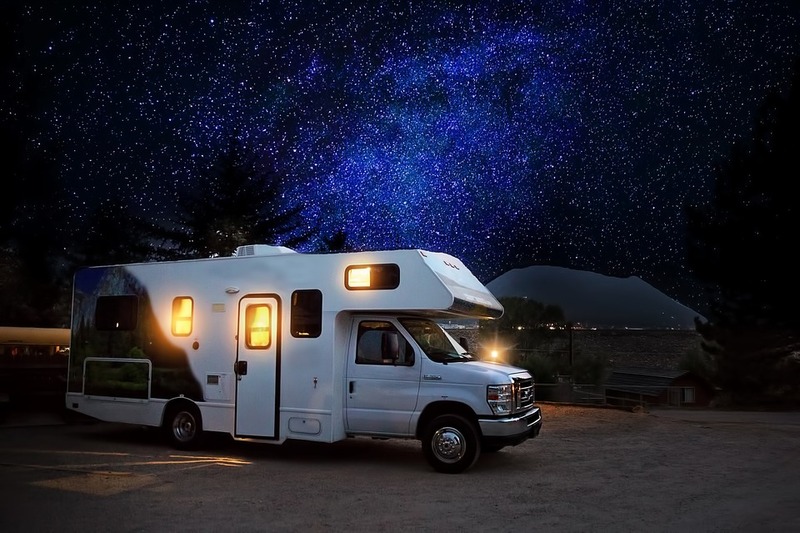 Buying or renting a motorhome on the other hand allows you the freedom to not only stop anywhere and anytime you want to explore, it also allows the kids to move around and keep doing what they would want to do during the journey. They can play games on the way – the seats are comfy, with a table to allow for all these comforts. The frequent stops are also great opportunities for the kids to explore the outdoors and take in so fresh air, keeping them excited and healthy throughout your journey. Though you can always leave your hotel in the morning to tour any number of destinations, covering long distances from your hotel can be costly. With a motorhome, you can camp right in the middle of the places you wish to explore. This helps you save on mileage costs but even more importantly, you don’t have to rush your family when it’s getting late and there’s still more to explore. You have your accommodation right there so you and your family can enjoy your getaway without being controlled by time considerations. There’s so much convenience when you travel on your own schedule and overnight at any location that interests you. Admittedly there are limitations to getting behind the wheel of a motorhome. Whichever way you look at it however, these limitations wouldn’t be anywhere close to outweighing the pros. Motorhomes are the perfect option when it comes to a family getaway.